A small number of Washington Capitals individual game tickets for the 2016 Stanley Cup Eastern Conference semifinals went on sale at 7 p.m. Monday. The Capitals have home ice advantage for the duration of the playoffs. They take on the Pittsburgh Penguins in semifinals. Games 1 and 2 -- and possibly Games 5 and 7 if the series goes that far -- will be played at the Verizon Center. The NHL has yet to announce when the games will be played. You can get your tickets by calling1-800-745-3000, going on WashingtonCaps.com, going to Kettler Capitals Iceplex and at all Ticketmaster outlets. Additional all-inclusive ticket packages are available at the Capitals Rinkside Club, the Budweiser Brew House and the Draft Ops Fantasy Lounge. 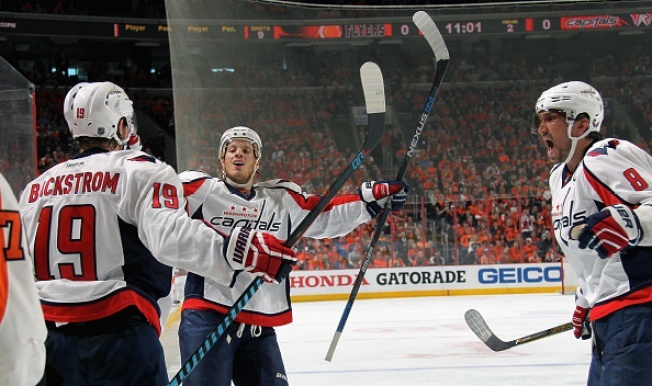 The packages include a ticket to the game, a gourmet buffet in the event level of Rinkside Club, unlimited beer, wine and soda, amenities that run one hour prior to puck drop through the second intermission, and a Washington Capitals t-shirt. Since 2008-2009, the Capitals have had 313 consecutive sellouts at the Verizon Center, including the playoffs. For more information on tickets, call 202-266-CAPS or visit WashingtonCaps.com.